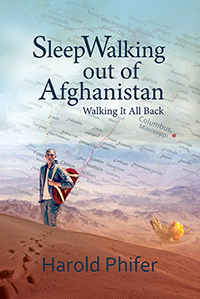 Harold Phifer’s “Sleep Walking Out of Afghanistan.” A soldier deals with anxieties and his dysfunctional past while serving in the military in foreign countries. The possibility of death and never seeing his family and friends again mentally tortured him during the long deployments. He feels vulnerable and needs to get mental closure to move past his fears.